LOS ANGELES — If you haven’t heard of documentary filmmaker Charlie Minn before, you’re not alone. After all, he’s not one of the legends among Hollywood filmmakers. Minn, who lives in New York and El Paso, Texas, isn’t well known in hockey circles, either. But he is currently in the Los Angeles area promoting his new film, Voice of the King: The Bob Miller Story. a documentary about the career of legendary Los Angeles Kings play-by-play announcer Bob Miller, which opens at the Regal Cinemas L.A. Live on December 5. Despite the fact that he is not a big name Hollywood filmmaker, he is a prolific documentary filmmaker, focusing on the “true crime” genre, most notably on crimes that have not gotten a lot of media exposure. Given Minn’s focus, a film about Miller is quite the departure. But his connection with Miller—meeting him when he provided statistics during a television broadcast while the Kings were visiting the New York Islanders—made him a natural fit. Minn immediately realized that Miller was very different from other play-by-play announcers he had worked with. As reported earlier in this space, Minn approached Miller with the idea for the film. Minn had Miller on board, but one rather large obstacle remained. Roski quickly jumped on board, given that the film was about Miller and that proceeds would benefit the Kings Care Foundation. The day between Games 3 and 4 of the 2014 Stanley Cup Final was June 10, 2014. With the movie premiering on December 5, if you do the math, it took less than six months from when Minn was just talking with Miller about making the film and its release. But Voice of the King was almost called something else. Miller, the Voice of the Kings for 42 seasons, has been behind the microphone and in front of the television camera during the careers of virtually all of the great players who have worn the Kings jersey, and some of them appear in the film, including Daryl Evans (current Kings radio color commentator), Jim Fox (current Kings television color commentator), Luc Robitaille (current Kings President/Business Operations) and The Great One, Wayne Gretzky. Minn also interviewed long time Kings radio play-by-play announcer Nick Nickson, who started with the Kings as their color commentator, working alongside Miller during their simulcast on television and radio. Minn made it a point to note that the film is not filled with pushover questions, nor is it loaded with fluff. But the best stories are, of course, those told by Miller. 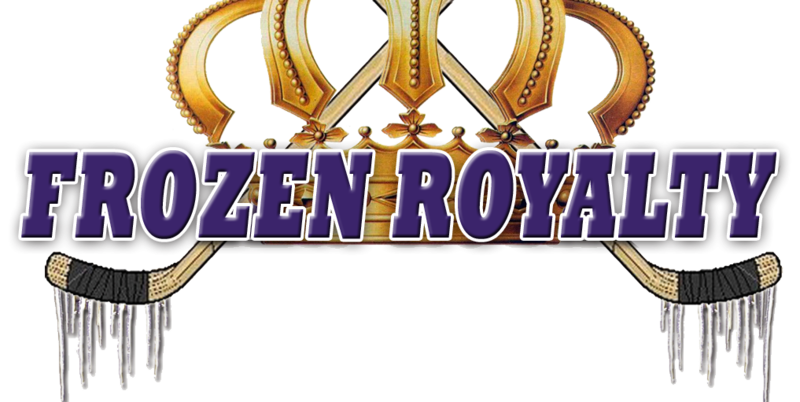 With Miller frequently in the public eye, and with his tremendous popularity among Kings fans, his professional persona is well known. But the film provides an opportunity for moviegoers to learn about the Bob Miller they don’t get to see on television. Minn noted that before the film, during production, after film is released, and long after it fades from recent memory, Bob Miller hasn’t changed and won’t change. Voice of the King opens exclusively at the Regal Cinemas L.A. Live, on December 5, and will run for at least one week. For ticket information: http://www.regmovies.com/Theatres/Theatre-Folder/Regal-LA-LIVE-Stadium-14-8900. 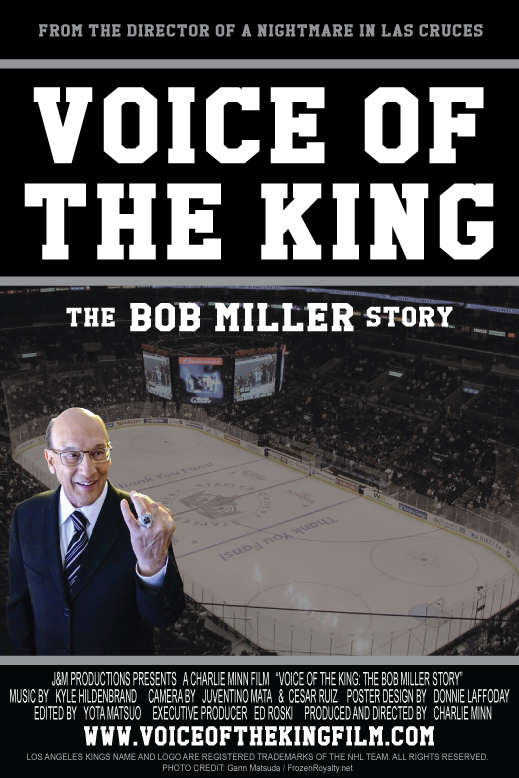 See Voice of the King: The Bob Miller Story FREE! You could win four tickets to see Voice of the King: The Bob Miller Story, including a special appearance by Bob Miller! For details and to enter the contest, check out: Win Tickets To See “Voice of the King: The Bob Miller Story” With An Appearance By Miller.